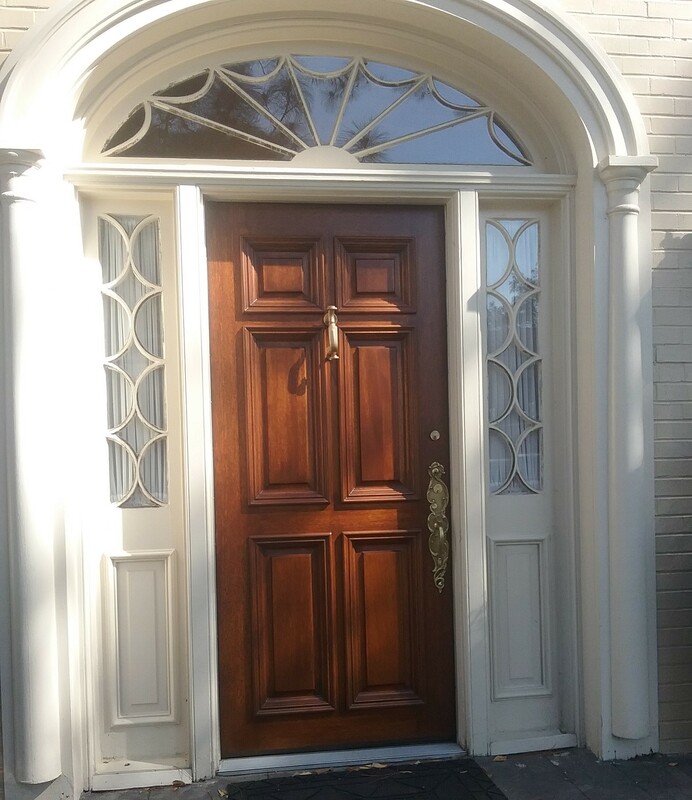 A recent job for us was refinishing an exterior door for a historic home in New Orleans (please see the website of our other business, 'From Door to Door' for details of our door-refinishing service). When we were fitting the door Dewey noticed that the base for the columns on either side of the door were and offered to recreate these for our client. 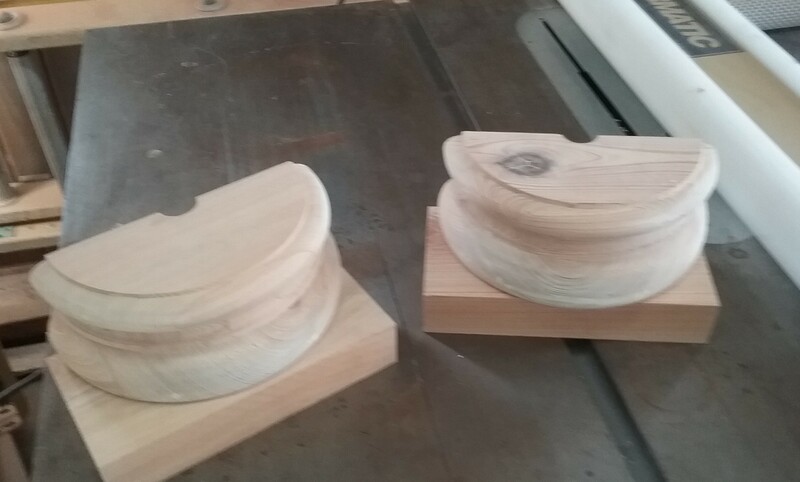 Using some cypress from his 'Secret Squirrel Woodstore' Dewey glued together the blocks to make a cube ready to be turned. Cypress is a decay resistant wood and often used in exterior construction and boat building applications because of this quality. 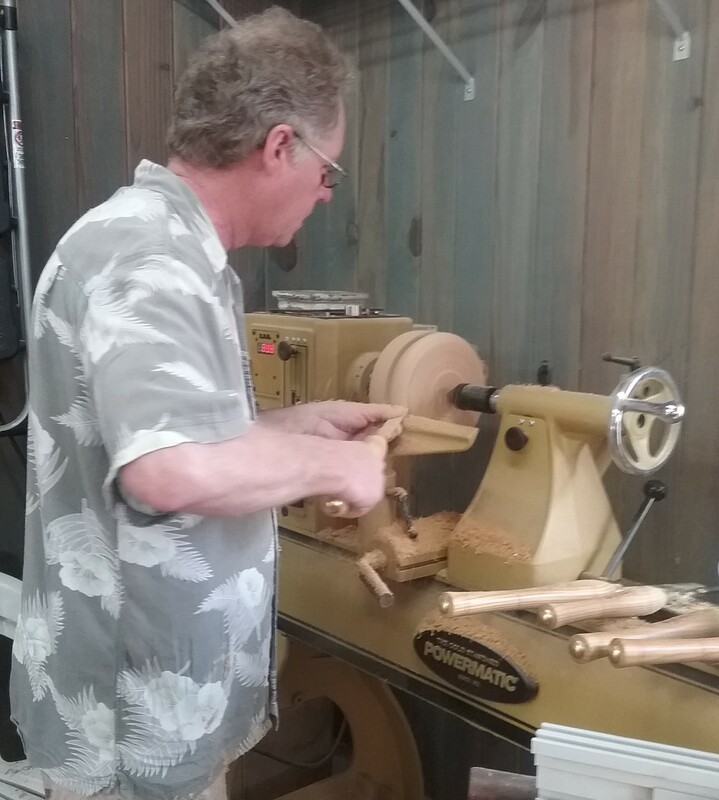 When the glued-up block was ready Dewey had a lovely time turning the wood, crafting it into a shape to match the column heads. Happy days! 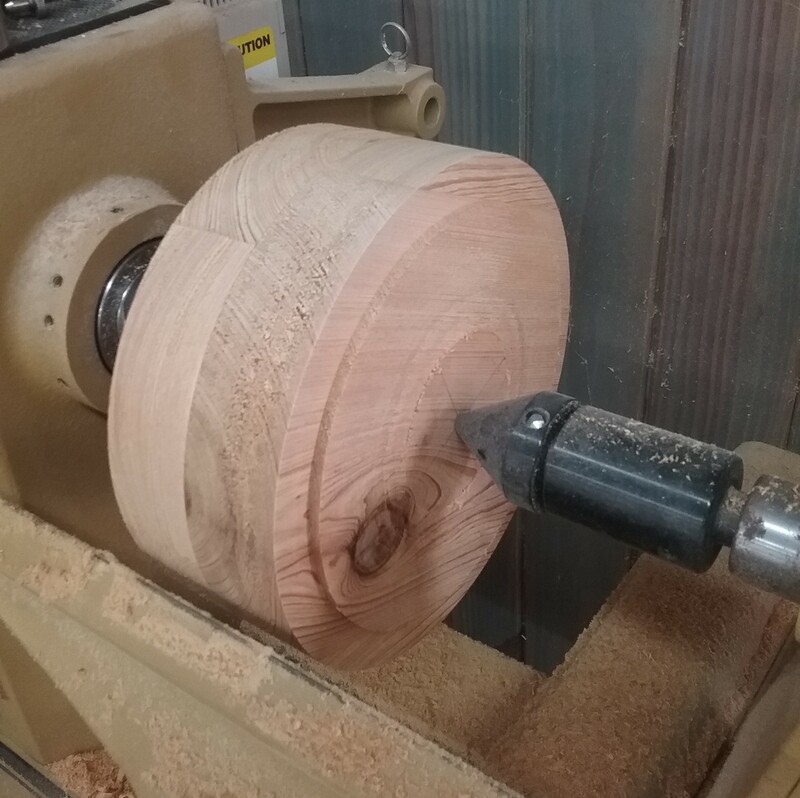 He'd not used his lathe for a while and so had some 'wood fun' turning this block into column bases suitable for a prestigious home! 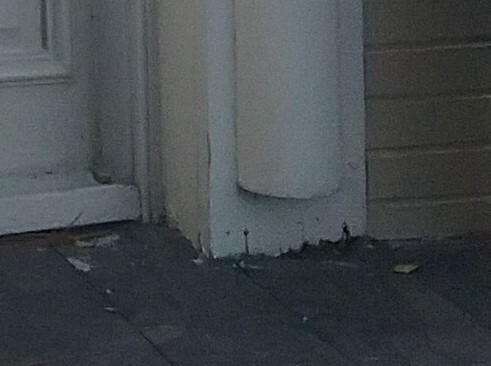 When the turning was finished he added the plinth at the base before splitting into two to make the two base for either side of the door. 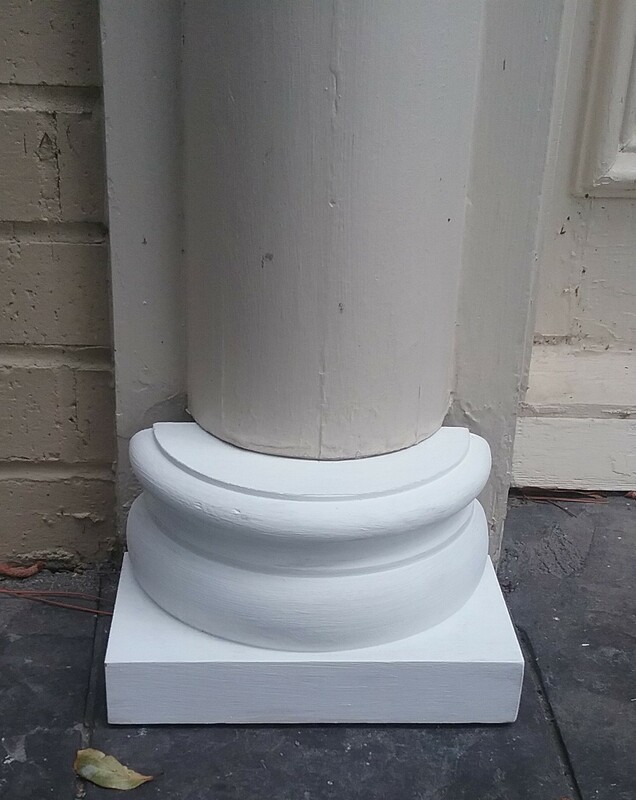 A coat of Zinser primer followed and then it was ready to be given to the owner to install. The owner was absolutely delighted!